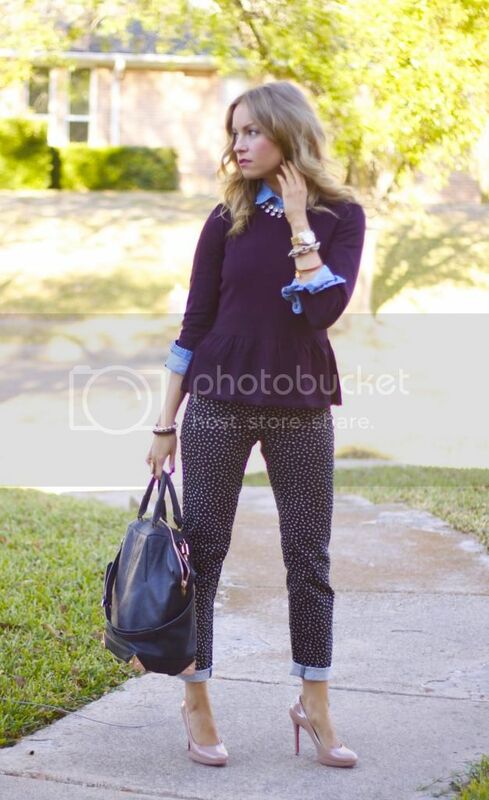 This outfit was part of my expedition to Loft that I blogged about a few days back. You guys loved the jade striped sweater, so here is another one. 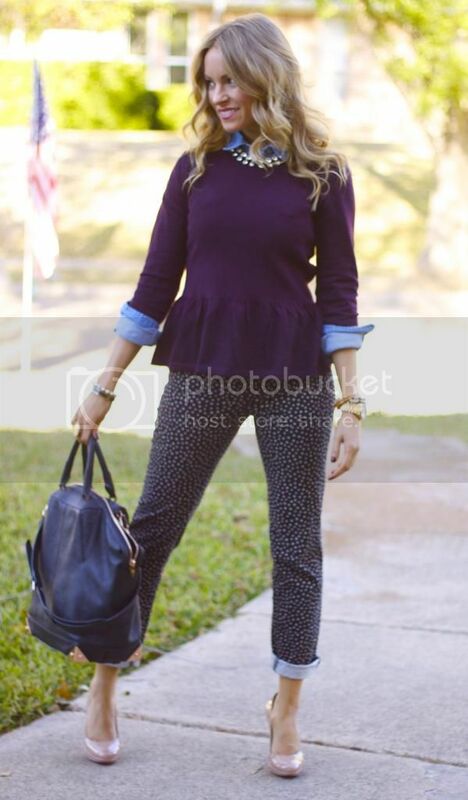 How adorable is this maroon peplum sweater? Gah! I wore this on Monday as part of my "AgSwag". I am a very, very, very proud Fightin' Texas Aggie and as a show of support after our win against top ranked Alabama last Saturday, we all wore maroon to the workplace. This has been an epic year of college football so far and it ain't over yet! WHOOP! Cute! Love that color on you! Thanks, Hannah! I'm a bit scared to wear jewel tones because my skin is naturally pretty "pinky". I think it works as long as I have a spray tan! Appreciate you stopping by! That purple is stunning on you!! So cute! Love it! Has anyone ever told you that you look like Cristina Applegate? Ha kinda random but I think you do! Hahaha! No, that's a new one, but a very nice compliment. I usually get Olivia Wilde or Kelly Ripa as my doppelganger matches. I see Kelly, but not Olivia at all, LOL.